This aircraft type has a private enclosed lavatory restroom, and a galley. 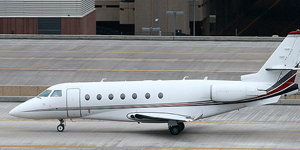 The Gulfstream G200 / GII private jet aircraft may be equipped with Wi-Fi and a Flight Phone. Please let us know before chartering if these are required for your private flight. 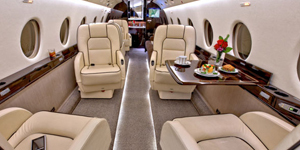 The Gulfstream G200 / GII private jet pictures displayed are for example only. The aircraft age, interior and exterior colors and materials, seating layout, hourly rates, specifications, and dimensions may vary between aircraft.